The Kora is an African harp that can have over twenty strings strung across its bridge. The sound boxes of the Kora is made from half a calabash. The front of the kora usually has a cow skin draped tightly across it and can be painted for decoration. It is called a double harp because the strings are divided into two groups across the bridge area. The sound of the kora is similar to that of a harp and played with the thumb and first finger of both hands. The instrument is tuned by moving the leather rings up and down the large neck that comes out of the sound box area. The extra “tubes” that protrude from the front face area permit the musician to hold onto the instrument while seated. 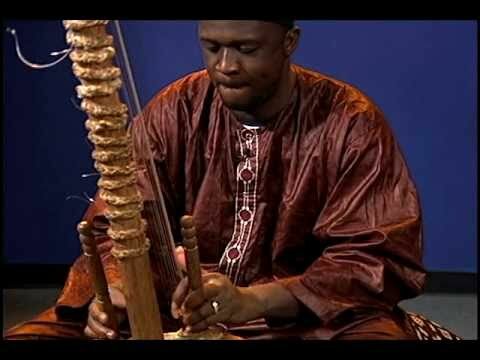 Lamin Saho demonstrates how to play the kora. There are many variations of the Lira, or lirica, depending on which nationality you are investigating. Variations of Lira have been found in the Ukraine, Serbia and Croatia. It is a sibling to the ancient lyre. Generally the strings are pitches to d2, A1 and e2. The Ukrainian Lira can also look like a type of “hurdy-girdy” which makes sound by the right hand winding a level while the left hand plays various “keys” that press onto the different places on the strings inside the sound box. 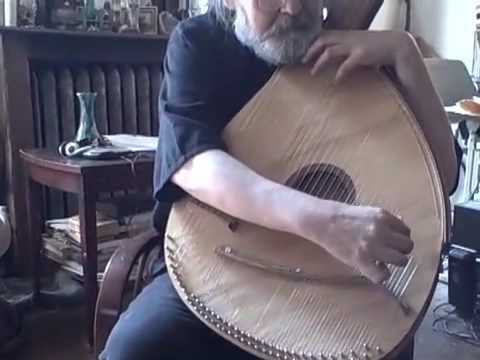 The Kobza is a wooden Ukrainian instrument with eight strings; two four-string pairs are separated by a central sound hole. The additional sound holes are found below both string pairs. The strings are plucked by a plectrum. 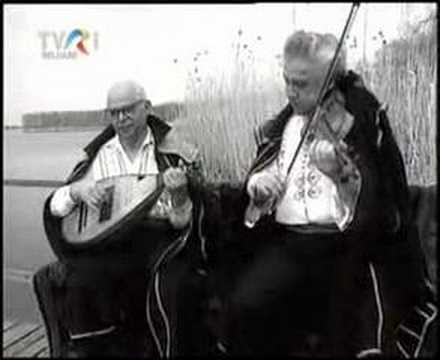 Video Overview: Here is an example of Fabri Geza playing a kobza and singing in traditional Urkrainian forms. 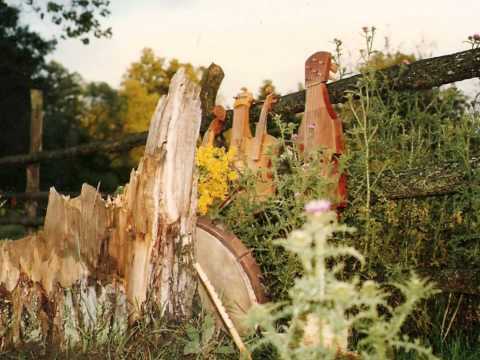 The husli (or husle) is part of the violin family and is one of the oldest known Ukrainian musical instruments. It has been documented by the Greeks as early as the 6th century CE. There are many different versions of the wooden stringed instrument. The three or more strings are plucked by the fingers and can be tuned by the pegs at the top of the neck of the instrument like a violin. The stringed are secured above the wooden sound box by a wooden bridge that is located near the two sound holes. 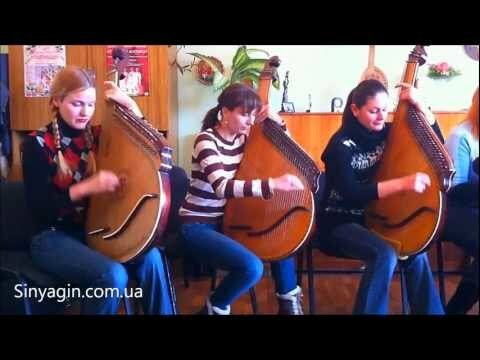 Video Overview: This video contains many photos of the various types of husle and other instruments found in the Ukraine. The Ukrainian Bandoura (бандура) has a large wooden sound box that is round. It has 12 drone strings that are plucked with the left hand. The right hand plays the 20 to 30 graduated melodic strings. Each string can be individually tuned. This is necessary because this instrument does not use a fret board. 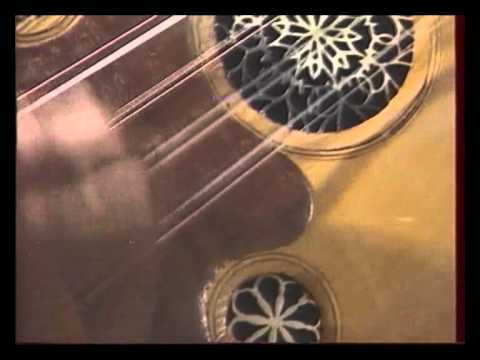 Video Overview: Bandoura virtuoso Julian Kytasty playing Echo composed by his grandfather. 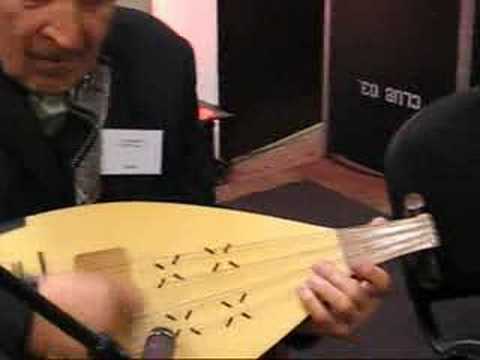 Notice the “drone” strings are used to keep the beat going constantly while the right hand performs the meloldy on the strings closer to the tone hole. Listen to the pitches that sound from the right hand playing the strings at the bottom of the instrument. Video Overview: This is a French speaking video and performance on the history of the bandoura. Video Overview: This is a performance of a bandoura player. Мега хит ! Бандура ! 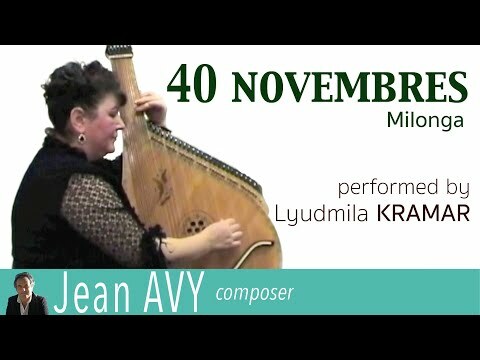 Video Overview: This video is of a performance of bandoura quintent.